On our soul’s evolutionary path we have incarnated many lifetimes. There is a reason and purpose for why we chose this particular time to live in a physical body. We are always evolving and expanding and every lifetime is a “work in progress”. Our divine spirits chose a physical body, specific gender and made “agreements” with our families. There are things that we wanted to experience in the physical or we would not have chosen to be born. Choosing to take a body also includes choosing a path to fulfilling your soul’s purpose. There are many paths and the original one you chose may have changed over time. No matter which path you take you can embrace it, change direction or resist it; But regardless of changing, embracing or resisting you will complete the work you came here to do. Your life is a work in progress and as such, you are learning, expanding and bringing energies from past lifetimes into the present. It is said that all roads lead to Rome; Well, all roads also lead you to fulfilling your soul’s purpose which includes integrating the knowledge and experience from other lifetimes into this one. In other words, we are the sum total of all those lifetimes and we are now in a time to consciously begin to integrate all that we are and all that we know from those lives and this current one. The day-to-day challenges you face are learning experiences all of which are a part of your “work in progress“. Not because they are challenging but because they are constant reminders of what you are working on. With awareness you can choose to meet these challenges by deciding if you want your energy and attention in them (leaving no room for you to create something new), resisting them (resistance causes challenges to grow until you clear the resistance) or transcend them by reminding yourself of your inner strength of spirit and who you are. A lot of what is experienced in the physical is about clearing energies that are not you! You are love, pure love, and you are returning to the oneness of love. The challenges you face are outside of you and each time you remember who you are, you become the creator and facilitator of your journey. Fulfilling your soul’s purpose does not just encompass only this lifetime. It may take many lifetimes both in and out of the body but each lifetime has a purpose in and of its own. 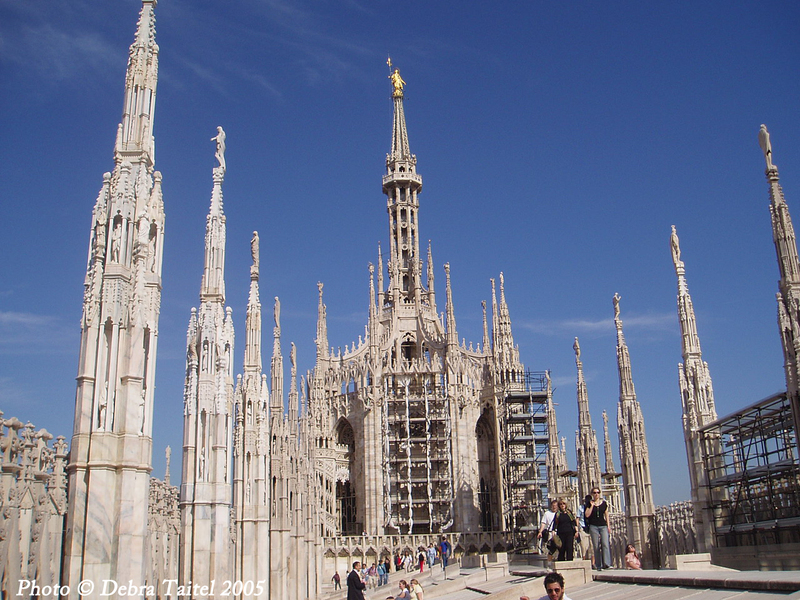 A real life example of how a work in progress grows and expands is the Il Duomo cathedral in Milan, Italy. The first stone was laid in 1386 and was completed in 1965! Even now there are uncarved stones which have yet to be completed into statues. There was a major facade renovation from February 2003 – 2009 to restore Il Duomo to its grandeur by removing centuries of grime and restoring what the elements damaged so we could once again see the colours of the Candoglia marble. Talk about a work in progress! As a work in progress there are times you need to clear a facade to show yourself, remove the grime (energies you pick up along the way) and restore yourself to show the splendor of your being. Whether you are updating by bringing back energies “stuck” in other lifetimes or clearing concepts, untruths or programming from this lifetime it all comes down to YOU. One of the wonderful things about working with energy is that you may be able to complete some of the “hard” work sooner. Why take an entire physical lifetime when you can take charge consciously and use your time here on earth to create and ease your journey of expansion?! Great information. We really enjoyed this post! Thank-you! I see the life journey in the same light as you, it’s nice to have some validation to my thoughts. I know I have been working on who I am for many lives, but I feel this time has more meaning in some way. I really enjoyed your post, in that you gave me some interesting new thoughts.